The easiest way to help clients access preferred vendors, connect association members or promote local businesses in your community. From your phone or from the web, it takes just minutes to create a list of contacts & recommended businesses. We'll auto-fill business details from Google Places, and if you have a big list already - simply upload it. 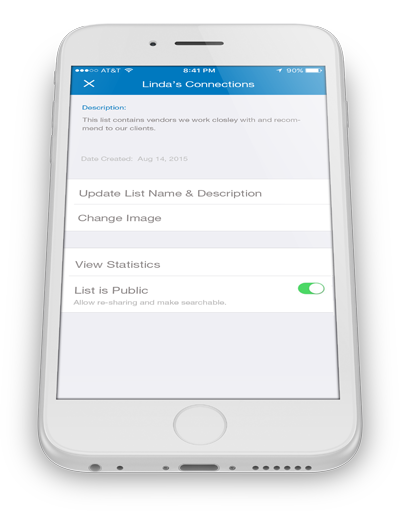 Set your list to Public to share it openly with clients, prospects and your community; or choose Private to create an exclusive member only list. You have full control over who has access. You've created a valuable list of connections... now share it via text, email or across social media with just a click! You'll be instantly notified when someone connects. Professionals from Real Estate Agents to Wedding Planners add client value & streamline transactions by sharing a list of recommended vendors with clients. Chambers of Commerce, Networking Groups & Professional Associations make their member directory always accessible to drive business across their network. Neighborhood Groups, Apartments, Schools & Non-Profits use Connector to promote local businesses & share trusted contacts within their ecosystem. 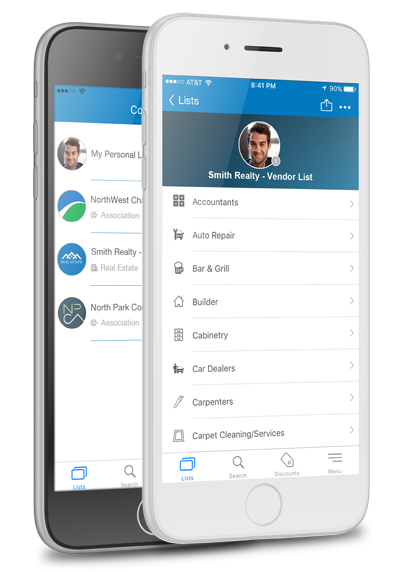 Currently powering over 30,000 lists, Connector is the simplest way to help clients access preferred vendors, encourage member-to-member activity, or promote local businesses and services in your community. Copyrights © 2016 All Rights Reserved by ClientLint / QuickLinkt Solutions Inc.